My children have emerged. That sounds more accurate than saying they are born, since I did not give birth to them. I merely gave life. Merely. The night was such a blessing. 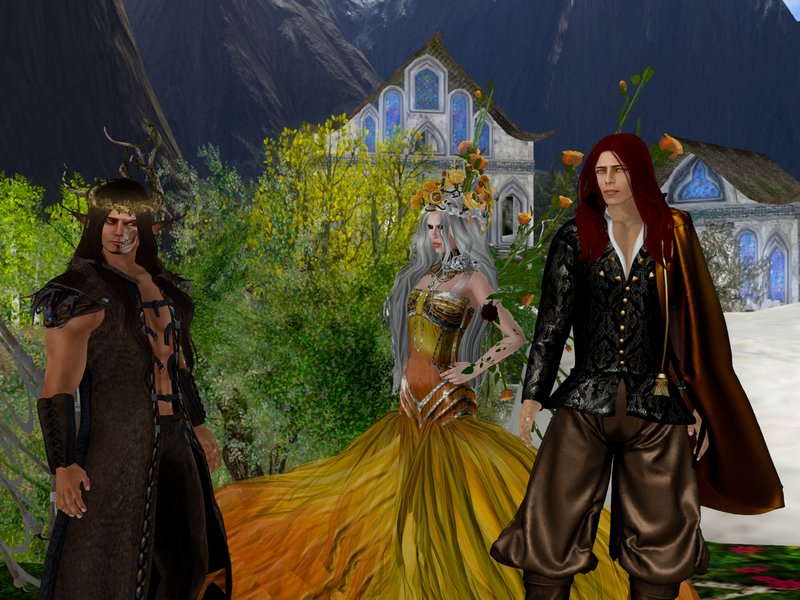 Eilian and Drysi arrived talking up a storm to one another, but Bronwen was quiet and new as dew. I won’t go in to more now, because I want to believe my children are possibilities and not the shadow that pass over them from the past. I won’t. Janus couldn’t stay away. I hope he will decide not to stay away on a regular basis. I miss him so. After what probably seemed like a short meet and greet, Bronwen grew tired and the others were pretending not to be, so I whisked us all, the family (Nathaniel, me, Wren, Eilian, Drysi, and Bronwen) off to the tree house, where Bran made hot chocolate for everyone and we got the children settled into their bedrooms. Poor Nathaniel was so tired out he just crashed. Janus left through the tree roads, but I hope, I know, he will be back. 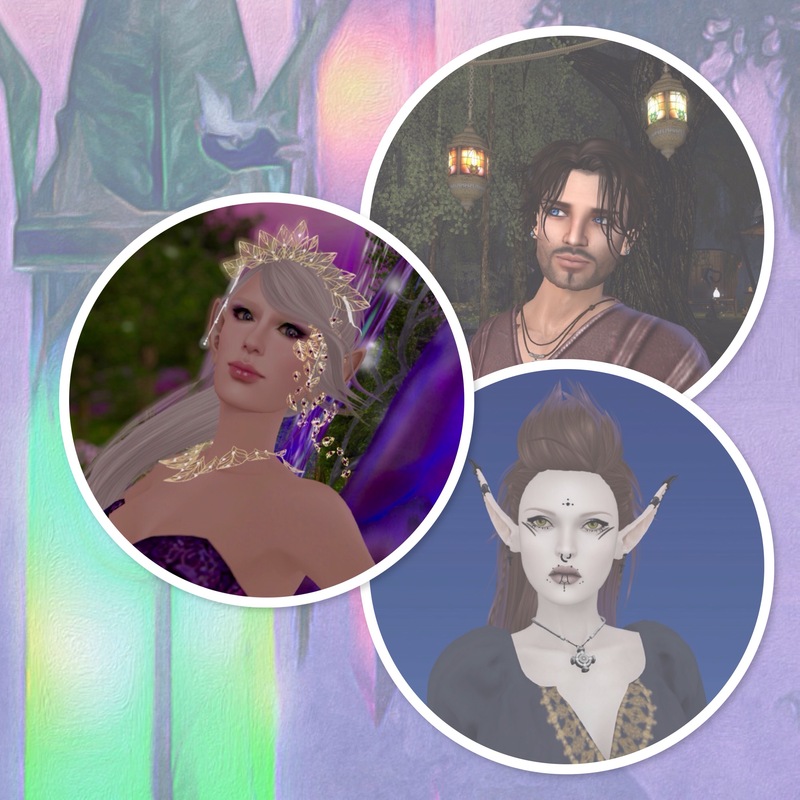 In a few days, mine and Nathaniel’s handfasting will take place. Bran brought me a second mug of hot chocolate, and I just, I don’t know. I started thinking about my life. “No one is ever allowed to know what might have been,” said Aslan. But it doesn’t stop me speculating about it. What if I’d grown into one of those sassy Croydon party girls? What if I’d grown in to one of those sassy Croydon party girls? The sort of girl who doesn’t think she’s dressed without a pair of 4-inch heels and shows as much skin as possible, particularly when it’s 0°C outside. That.. doesn’t bear thinking about. What if I’d not grown into the person I’ve become now? Would I have become a fae servant in my own kitchen? Serving some other Fae Queen? Would I have become a fae servant in my own kitchen? Serving some other Fae Queen?I imagine my house-proudness, how I’d turn my magic, what little there might be of it, to the growing of herbs in the counter garden, the height of the fire. The sort of house-manager who has one perfectly serviceable dress in a variety of colours, all made by her own hand. The kind of woman who has one unbelievably beautiful necklace, given to her by a lover who left her, a thing she can’t bear to put away, ever. A woman who remembers her old life a lot more clearly than I do now. A woman who reads in her spare time and might be instructing the children in literature, since none of them will ever be interested in cooking. But what if the whole thing had never happened? And into my head comes a picture of me, laughing because I’m at a great LARP, probably with Richard, in a big house. And into my head comes a picture of me, laughing because I’m at a great LARP, probably with Richard, in a big house. Fen is probably taking this photograph, maybe with my iPhone. I can tell because I’m laughing. Fen, Fenella, always knew how to make me laugh. And I don’t have to think about the last time I saw her, my best friend, so much blood. I’m imagining this photo the way I used to look. So short. With my Welsh granny’s face and my professor dad’s hair, and my professor mum’s broad shoulders, and my euphemistically “child bearing” hips. In this picture I’m happy because we are in a big, beautiful house, and oh what weird things there are on the mantelpiece, and here we are in this house, and we pretend to live here, what fun! I am longing, all the time we’re here for this LARP, longing and longing, for it all to be true. I am longing, all the time we’re here for this LARP, longing and longing, for it all to be true. Only I know it can’t be, but what if it is? That’s how I walked through the world, before. Knowing, knowing beyond a shadow of a doubt, that there was no magic. And yet not believing it. I wonder if my children will grow up and wish for a world in which they are not magical. I wonder if that will happen.